We strive to be a Green facility focused on reducing/reusing/recycling. 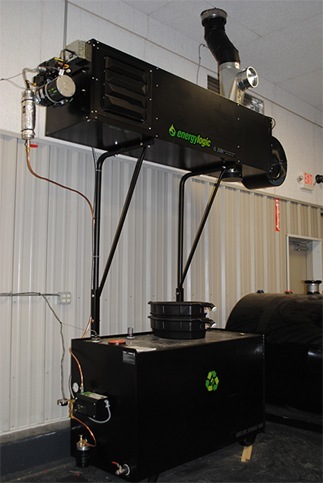 Waste oil heater uses the used oil, transmission, differential and transmission fluids from flushes to heat the building. Scrap parts are saved and sent to recycling centers instead of being thrown away. Blown-in insulation and fire retardent & special ceiling panels cut natural gas consumption by 50%. Hi-tech 1 inch thick Tectum™ ceiling and wall panels cut noise decibals in half as well as provides additional R-value energy savings. Installation of low-E glass keeps the building warmth in during the winter and keeps it cooler during the summer. Replacement of incadesent lights with LED and fluorescent lights which reduce energy usage & reduces the amount of waste to be disposed. State-of-the-art Brake Lathe enables us to machine the rotor to extend its life rather than to scrap it, which saves the environment and saves our customer money.